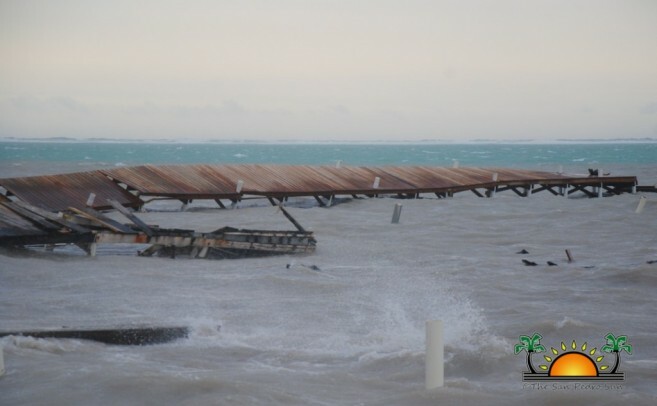 The strong surge and winds of Hurricane Earl left hundreds of docks/piers partially or totally destroyed on Ambergris Caye. The majority of these over-the water structures are on the eastern side of the island and many of its proprietors are beginning to make plans for rebuilding. However, in order for that to happen, dock/pier owners will now need to reapply for a new permit, as stated by not only The San Pedro Town Council, but Central Government as well. The implementation has not been well received among residents of the island, who find it unnecessary and time consuming having to go through the paper work in order to start repairing their docks. Many of them still have unexpired permits and the request is a threat to their day to day businesses. However, other residents see this rule as something positive, and as an opportunity to re-evaluate the dock situation on Ambergris Caye. Some residents in San Pedro Town believe, the high concentration of docks in front of the island has taken away the charm and natural beauty of the island. Mayor Daniel Guerrero shares that same view. He explained that the Town Board is just implementing a norm that is coming from Central Government. “I am in the position of less docks, shorter docks and smaller buildings around the beach to give that tropical look. We now have the opportunity to do something like that,” said Guerrero. “ If owners want to rebuild their docks, they need to submit a new application. It is just the norm, because we cannot just have people building and building, there has to be guidance and proper approval.” Guerrero feels that this is the opportunity to apply changes in regards to the congestion of docks on the eastern side of the island. He believes that in the longer run, it will benefit all residents on Ambergris Caye. On Wednesday, August 10th the SPTC issued a press release in which it advised all dock/pier owners about the need to re-apply for their permits before re-building or making repairs. The general public was also advised to kindly visit the Ambergris Caye Local Building Authority offices for more information. Immediately after a press release followed by the Government of Belize explaining the Utilization of the Seabed and 66 fee reserve, referring to Section 2 of the National Lands Act, indicating that National Land includes the seabed and 66 feet of extension from the shore. This is not limited to riparian forests, beaches, littoral forests and shoals. The note stated that all the Lands and Surveys Department, by powers of the National lands Act (Revised Edition 2003), has jurisdiction over the 66 feet reserve and the seabed. Therefore, occupation within the above mentioned spaces without permission from the respective authorities, such as the building authority or the Ministry of Natural Resources constitutes an offense of unlawful occupation of National Land. Fidel Ancona, of the Ambergris Caye Local Building Authority, said that the law states that permission needs to be obtained before reconstructing, building or refurbishing any of the docks or over-water structures. “That is the law,” said Ancona. “The dock owners are only leasing the seabed from the Government, thus, it is important to follow the official process for obtaining permission to continue utilizing the seabed or the 66 feet reserve.” He commented that so far, many of the proprietors have already re-applied for either re-building or refurbishing. According to Ancona, the ACLBA acts on behalf of the Central Building Authority, and structures are approved after the Ministry of Natural Resources has given the approval for the use of the seabed. But before that, applicants must visit the ACLBA on the island to gain approval of the structure that needs repairs or will be built. “We need to make sure that design of the structure is proper and strong. After an inspection is made, the applicant is provided with a recommendation from the SPTC to be taken along with their application to Belmopan,” said Ancona. He added that before it is approved, the Ministry of Natural Resources does an inspection on their own before officially approving the structure. As the island continues to recover from the recent hurricane, the SPTC and the ACLBA encourage dock owners to abide by the law. They stated that most applications, as long as they meet the requirements, will be approved, but that they should be open to new suggestions in order to make San Pedro’s coastline less congested. 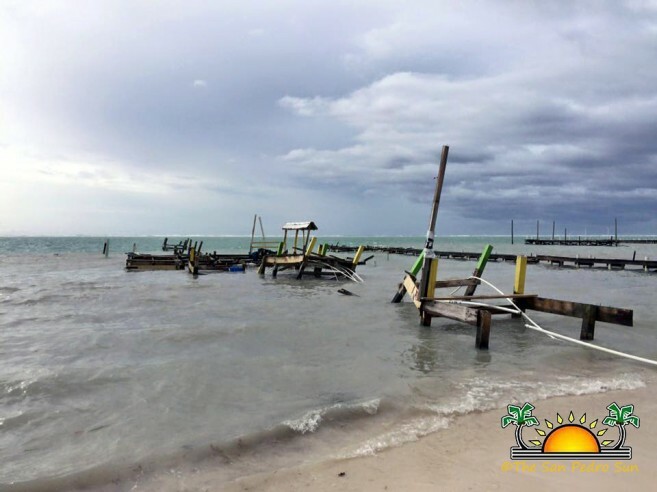 The local authorities are also working to get the jurisdiction of the dock fees in order to increase the revenue and development of Ambergris Caye. The SPTC and the ACLBA also seek to taken on the process for dock approvals. Many dock owners complain about the delay they suffer when applications are taken to Belmopan. In order to speed up the process, the authorities on the island will focus on getting, at least that jurisdiction and process the applications on Ambergris Caye saving residents time and money. The ACLBA is located at the SPTC building located on Barrier Reef Drive, and opens Monday to Friday from 8AM to 5PM. For appointments call 226-2198.